Growing New Potatoes is easy. They are a favourite in households across the UK, and are often found on your dinner plate in some form, whether it’s chips with your fish, mash with your sausages, roasties with your beef, or dauphinoise potatoes if you are feeling a bit fancy! Their versatility and taste makes them a classic, so why not try and grow your very own. 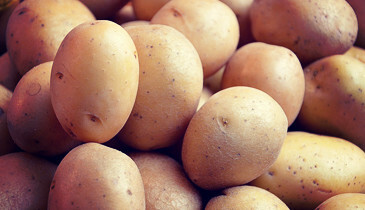 There are many different varieties of potatoes to choose from, falling into the categories of First Early Variety, Second Early Variety and Maincrop Varieties. 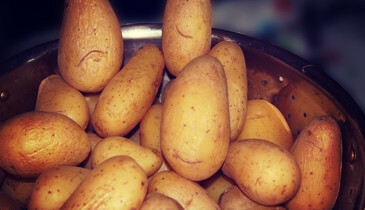 First early potatoes are new potatoes which are the first to harvest in the summer. Around two weeks later, the Second Early Varieties are ready. Maincrop varieties are the ones that are harvested at the end of the season. When researching how to grow potatoes, you will notice that the term ‘Chitting Potatoes’ comes up a lot… It basically means allowing them to start to sprout before you plant them which helps lead to a better crop. To do this, first examine the potatoes to identify the side with the most ‘eyes’. Store them on a tray in a cool place with the eyes facing upwards, out of direct sunlight. The shoots will start to grow over the next couple of weeks, and once the shoots are between 1.5-2.5cm long, they are ready to be planted. Start this process in late January/February to be ready in time for the growing season. Top Tip – Before planting divide up the sprouts by cutting your seed potatoes into slices with a sprout or two on each piece. This way, rather than getting big leafy plants on the surface with lots of small potatoes beneath, you will get more plants with less leaves and they will produce bigger and better formed potatoes. Plant First Early Potatoes in late March, once the soil starts to warm up. Dig a trench approximately 8-15cm deep, cover the base with some organic matter and mix it in with the soil. This can be in the form of organic compost, or we also supply a product called Vegeblend which is ready mixed organic compost and screened top soil to save you the trouble. Place your chitted potatoes in the trench with the shoots pointing up and cover them with approximately 15cm of soil, being careful not to break the shoots. As the shoots start to pop up at the surface, cover them with some more soil. Repeat this regularly and by the time it comes to harvesting, each plant with have a little mound around it. First early potatoes are ready for harvesting once the flowers have opened. This tends to fall around June/July. Carefully lift potatoes with a fork. Do this as close to the time of eating as possible in order to appreciate your home grown efforts the most. 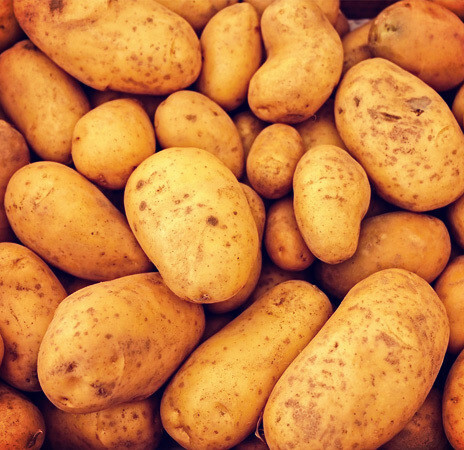 Ulster Prince Potatoes – A favourite for the Online Soil Team! Eat Me: Boiled fresh out of the ground. Eat Me: Boiled with you favourite meat or fish, a tasty new potato. Eat Me: In salads, a competitor of the popular Charlotte potato. Eat Me: Boiled, steamed or sautéed, good all ways thanks to the firm, waxy flesh. Eat Me: Roasted, or however you fancy! A good all-round potato. Fancy giving it a go? We wish you luck and hope you get a good crop of tasty potatoes, whatever variety you choose to go for. Try using our organic compost or Vegeblend soil to get them off to the best start and look forward to a June and July full of home grown tasty spuds!